Buildings cannot be easily moved. Nor can many of the items of infrastructure that make up sprawling metropolises all over the world. 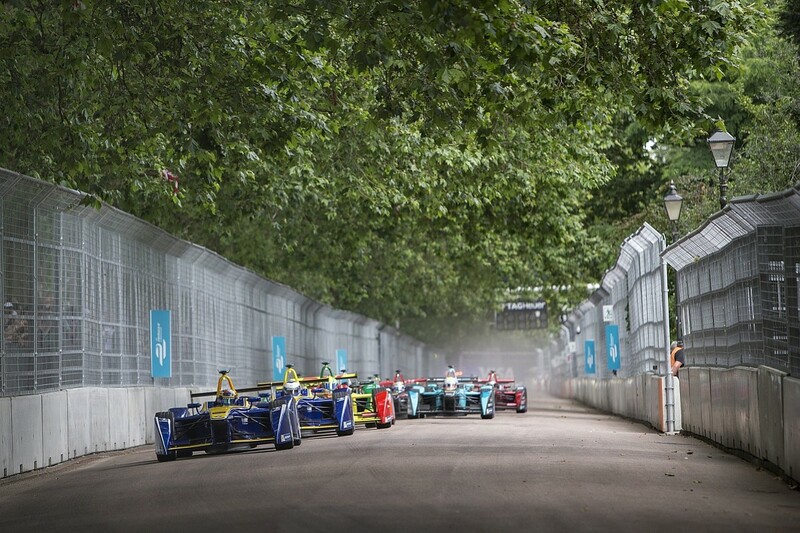 But that hasn't stopped Formula E from taking an almost impossible job - fitting a major sporting event into streets used by thousands of people every day - and perfecting the art of squeezing races into tight spaces. 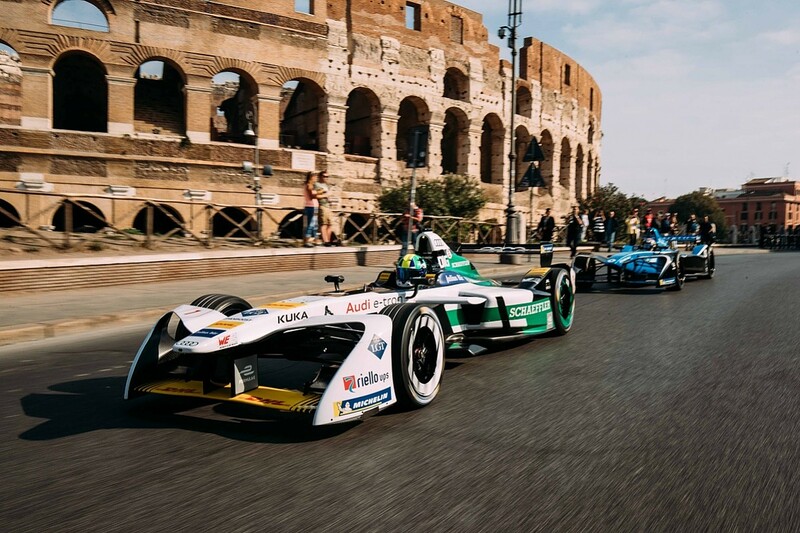 This weekend, Rome will become the 18th urban centre to host a Formula E race and it's Circuito Cittadino Dell'EUR track is situated in the EUR residential and business district of the Eternal City. The main event will be over in a single day, but the process of pitching, designing and building the track is, naturally, much longer. Such city centre events are "very important for Formula E's DNA", according to series boss Alejandro Agag, and fans tuning in to watch the action from the all-electric championship will see 12 days of racing across the 2017/18 season. But the task of planning and implementing the races is a complex and ever-evolving process. It ranges from picking suitable cities and countries to race in, to building tracks and recreating the Formula E experience at each one. But before any barriers can be installed or team tents erected, an exhaustive planning and consultation phase kicks into gear. "In the beginning, we were approaching cities and trying to get in contact with the mayor, and that was the first year - or even year minus one," says Formula E's events operations director, Manolo Ortiz-Tallo, who has organised meetings in Formula 1, the World Rally Championship and MotoGP. "It was how we began to evaluate the interest of each city. Nowadays, there is a department in the company that manages our relationship with existing and new cities." 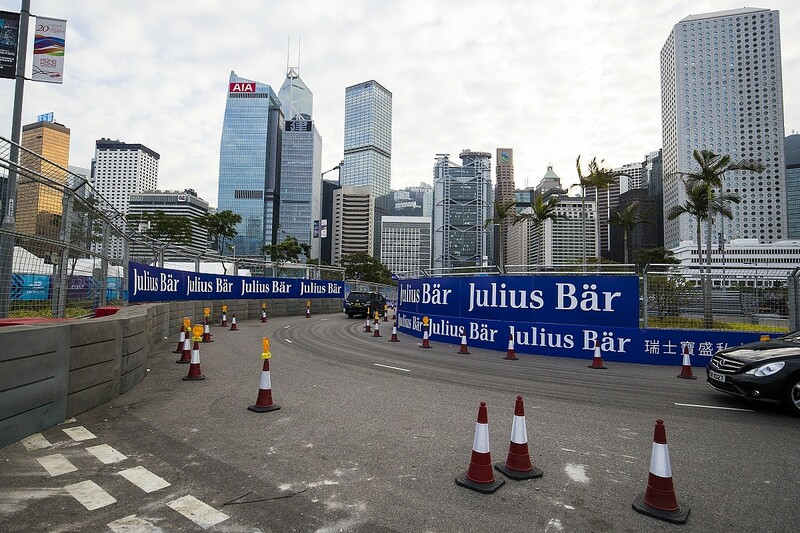 Formula E has also previously worked with intermediaries when it comes to putting on events in new locations. The championship's preferred policy is to talk directly with central governments or city mayors. "Normally we receive a request that a certain city or government is interested in hosting one of our races," says Ortiz-Tallo. "And then we need to do a first feasibility study." Each study is compiled by a team that comprises two track designers - over the years Formula E has used Hermann Tilke's company, British designer Simon Gibbons and other engineers local to North and South America - one of the series' events managers and an internal designer. They go to each city for two to three days to visit the area where a race could take place and to see if the reality of the urban environment matches what they have seen from satellite images. "It all starts with basic work using satellite software and GPS imagery," explains Ortiz-Tallo. "Following this process we conduct on-site visits to check that all surroundings match with our records. Often a tree or a lamppost will appear differently, which is a normal occurrence." Each feasibility study is typically 60-70 pages long and is put together when the designers return. Although studies for cities joining more recent Formula E calendars will have been conducted several years ago, future studies will take in additional details such as local investment and regulations. "[They will] take into consideration not only the track, and the viability of the track, but also the viability of the project itself," says Ortiz-Tallo. Once an agreement with a city is reached, the process of implementing the actual event can get underway. Every local arrangement is different, with a mix of local operators and promoters - who pay to hold the event - making up the calendar. These agreements are complicated by the viability of finding suitable local teams to build each track, but there is now a three-to-four-month tender process to negotiate. In its three-and-a-half season history, Formula E has had a different calendar line-up each time. As a start-up championship, the series does not have the historical ties to permanent circuits enjoyed by established competitions such as F1 and MotoGP - although by racing in city centres it is of course going a completely different route. The schedule is something that Ortiz-Tallo highlighted as a particular difficulty when he joined Formula E in 2013: "First of all because the rest of the [motorsport] calendars are done," he explains. "They are much older championships than ourselves. So, the only [changes] that MotoGP or F1 does is one week earlier or one week later - but this is the most that they do - and probably they add one new race. The basics, 90% of the rest, is absolutely the same. "In our case, we have to play with this but our calendar is already seeing many of the same cities year on year as a positive consequence of the championship's continued growth. We are trying to establish a calendar that is at least 80% fixed and then 20% can be new cities." In the championship's fourth season, Santiago became the 17th city to host a Formula E event, and Rome and Zurich will bring that total up to 19 before the end of the current campaign. When it comes to building the tracks, the championship's preference is for the walls and fences to be sourced locally because transportation costs of the heavy blocks are prohibitive. This might seem tricky on the face of it, but at Punta del Este and Buenos Aires, which have both hosted three races in the first four Formula E seasons, those locations already possessed the necessary equipment because they have hosted Super TC2000 street events in the past. The system for putting in place the walls that line Formula E circuits allows for a certain degree of installation flexibility - especially up and down - to help with building around the street furniture found in urban areas. "For a city centre, you need this flexibility because sometimes you have a sidewalk and you have to put the walls on top of the sidewalk - so if you have a system that is completely fixed and you cannot move anything, it's very difficult to do a track correctly in the middle of a city," explains Ortiz-Tallo. 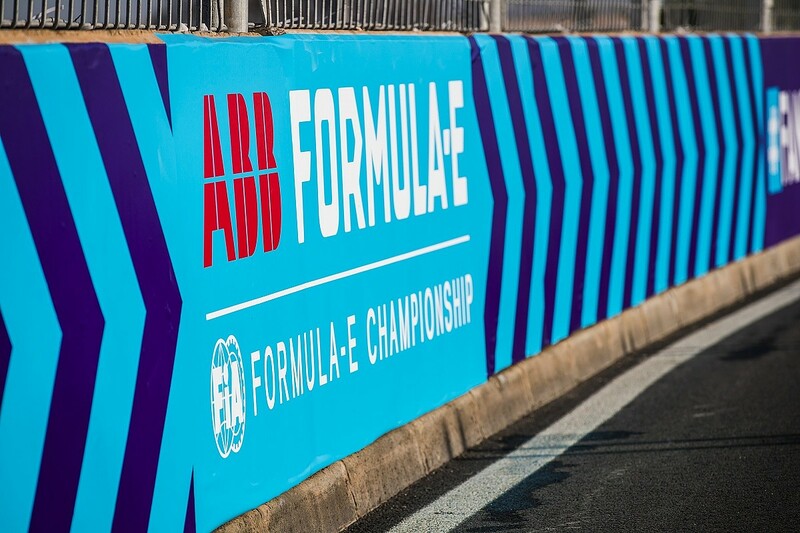 The walls are also multi-purpose and Formula E is happy for them to be retained for use by the host cities, so long as they return them in their original condition. In Berlin, they were even redeployed to help protect Christmas markets following the terror attack in the city in December 2016. To help protect historic areas of certain cities - in particular when racing in Paris and Santiago - Formula E installs removable asphalt over cobblestones, and has become adept at fitting the circuit around the tight confines of buildings and parks. "We have done this in several countries - to remove one thing and then to put it back again," says Ortiz-Tallo. "Nowadays we have improved solutions and apply the same quality standard to any city which is also simpler to protect the heritage of each city." 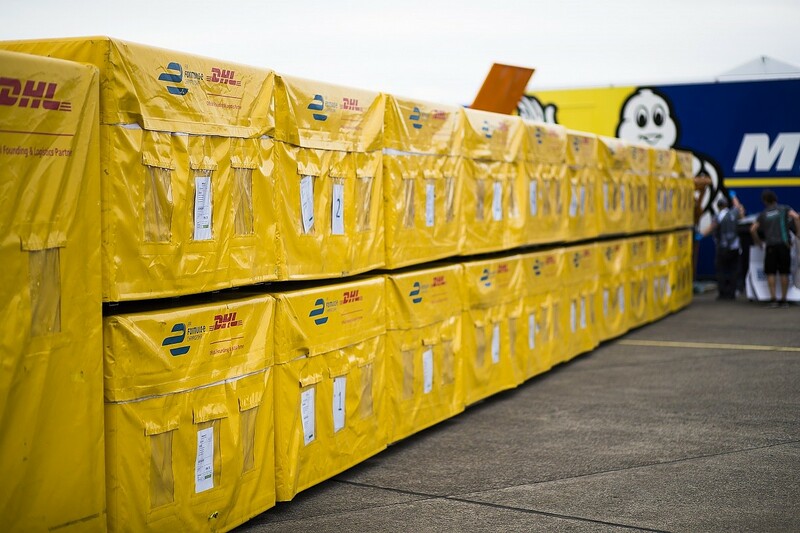 All the kit for each race is shipped around the world using a mixture of sea and road freight options provided by DHL, with the aim of limiting air freight to minimise carbon emissions and keep costs low. Certain items - such as the zero-emission glycerine generators that charge the cars - are doubled-up, with one set travelling while the other is in use. Next year, when the I-Pace Jaguar eTrophy support series joins the Formula E bill, the freight capacity will expand significantly. The calendar is therefore designed with transportation costs in mind, but some longer trips between events are unavoidable. "We tried from the very beginning to begin [the season] in Asia, go to Africa, South America, Europe and finish in North America," explains Ortiz-Tallo. "This makes sense regarding the economy for the transportation." Formula E sends around 85 people to each race, with that number rising to 400 when local workers are taken into account, and then to 600 when the volunteers and marshals are added on race day. The record for setting and dismantling a race is 17 days, but three weeks to one month is standard. "If you have more resources you can do the things in less time," adds Ortiz-Tallo. With preparations accelerating as race day approaches - public roads often remain open until the Friday of an event - the teams arrive and build the garage set-ups. They are not allowed to start work at the track until 12pm on the Wednesday before the race. The 'lights out' moment is typically set for 4pm on race day, which is also usually a Saturday, so time is tight. "There's a particular challenge if you have a crash at the previous race," says Techeetah team boss Mark Preston. "If you have a non-eventful race, then it's really just going through all the job lists and making sure everything is rebuilt, checked, measured." Putting on a Formula E race event is a busy and bustling process - full of twists and turns, drama and challenges. Just like the cities that are intertwined in its DNA.